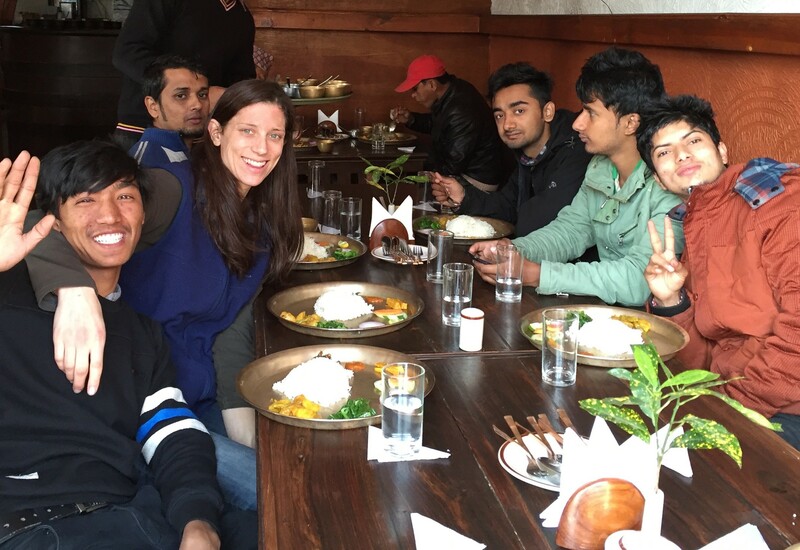 After our week of screenings in Puranchaur and Hansapur, I took our university teams up to Kaskikot. 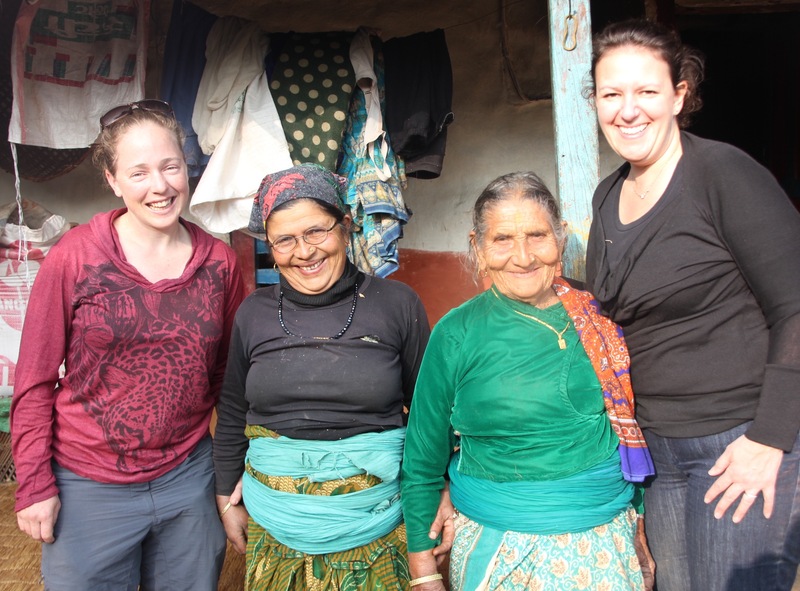 We didn’t arrive in until late on Sunday night, after visiting our Bharat Pokhari clinic during the day. Everybody stayed in the hotel behind the house, but most people came down to hang with me and Aamaa and Hadjur Aamaa for a while. 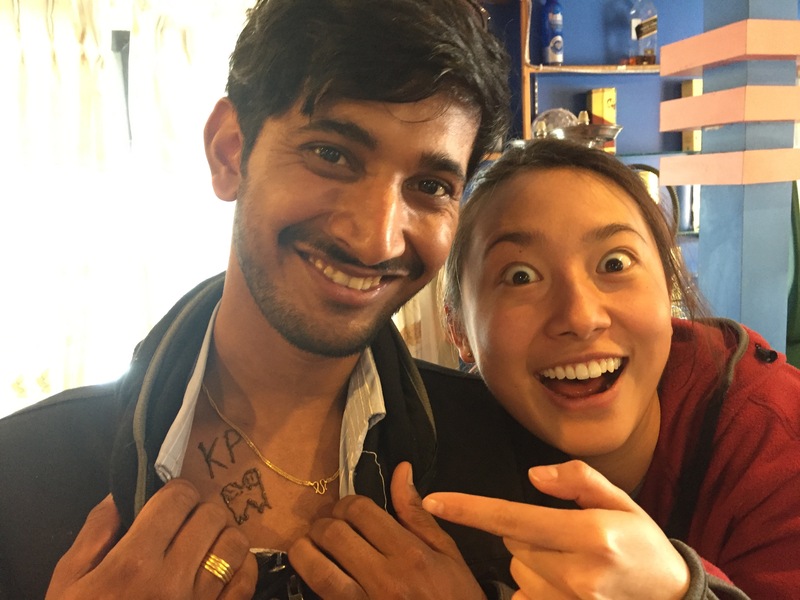 We had tea, chilled in the kitchen, and of course I put some Henna on Neha and Justin. The next morning, we said bye to Karen and the Berkeley/UCSF crew. It’s been so special hosting these guys, and we’ve all learned so much from them. First of all, we had an immersion week in the science of oral health and nutrition, and also in research and evaluation. 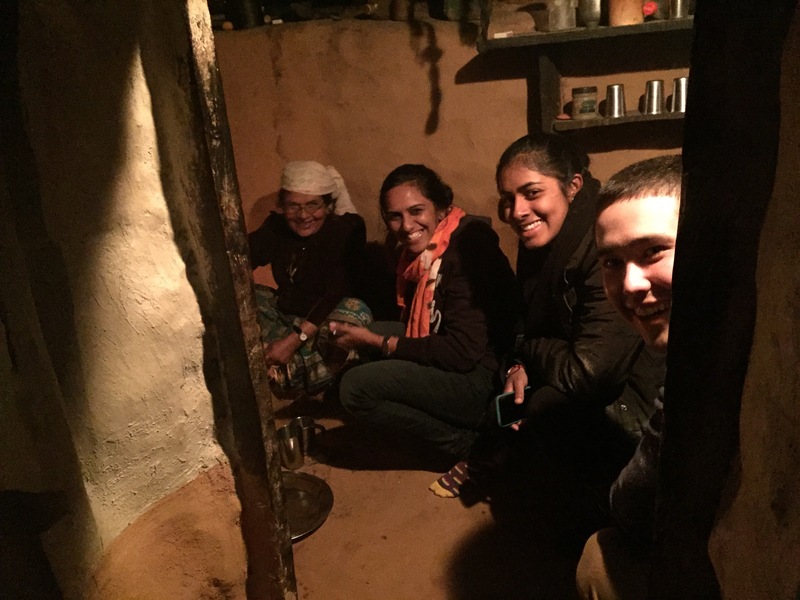 But it was also so invigorating for our field teams to get to work with Dr. Karen, Dr. Madhurima, and the students they brought, and I can’t wait to see all of these guys later this spring out in California! 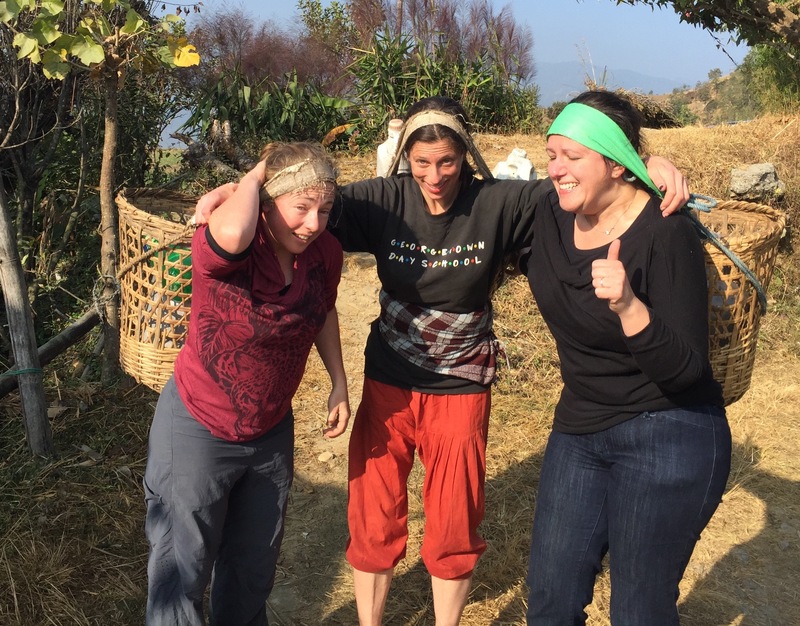 First thing in the morning, I put Bethy and Keri to work churning milk, while Aamaa bustled back and forth past us over and over again, saying we were going to ruin it, which was a possibility, and I replied that everything was going to work out just fine, the foreigner way. Which basically gave Keri and Bethy the full experience of my life. Next, of course, I commandeered the dentists carry to water in baskets, which was well worth it just for this fantastic piece of documentation. What? We needed a lot of water. 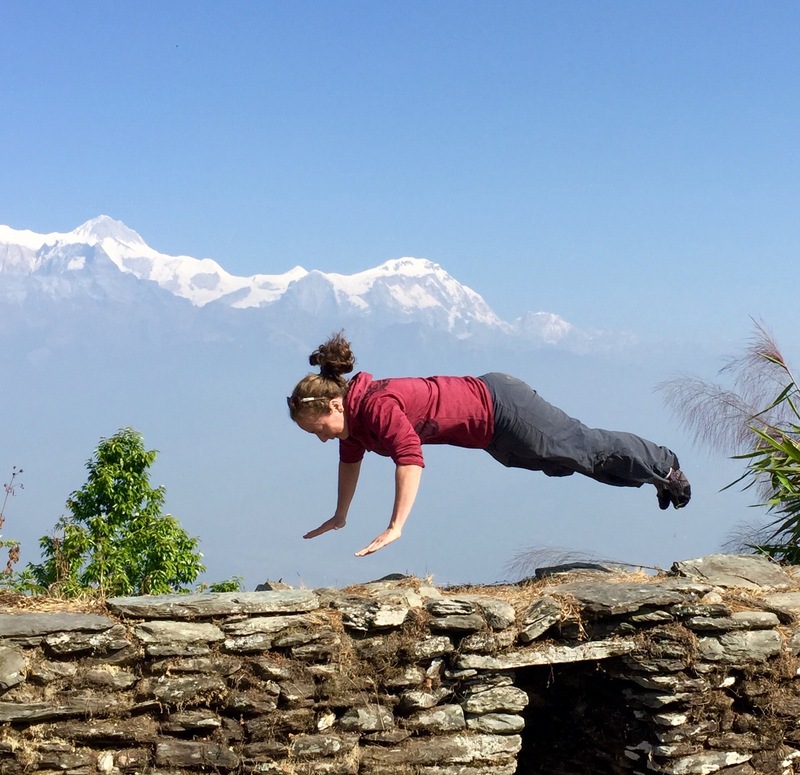 We hiked up to the Kalika temple and had a photo shoot. I’m not even gonna explain how this happened…Bethy was in the New Zealand military and has superpowers. I just had a good photographer named Keri. 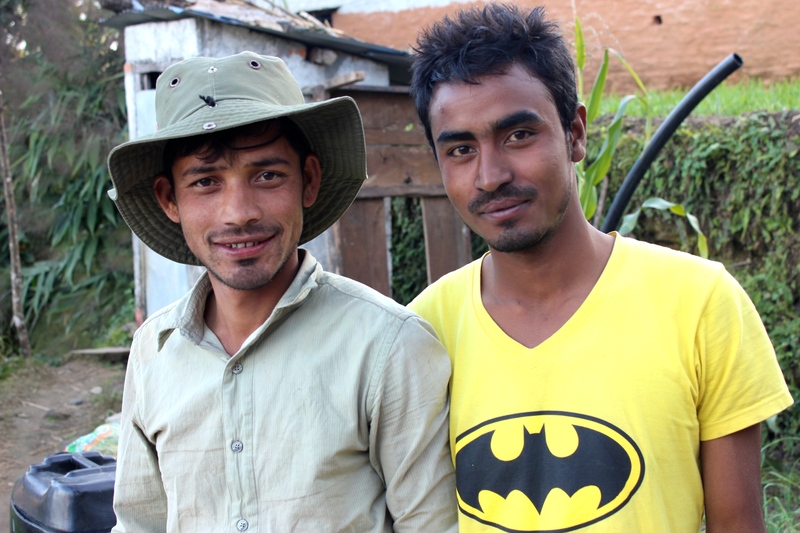 Tomorrow we’re on to a school seminar in Rupakot, and then Salyan for another clinic audit. But this was a pretty swell stop, in my unbiased opinion. 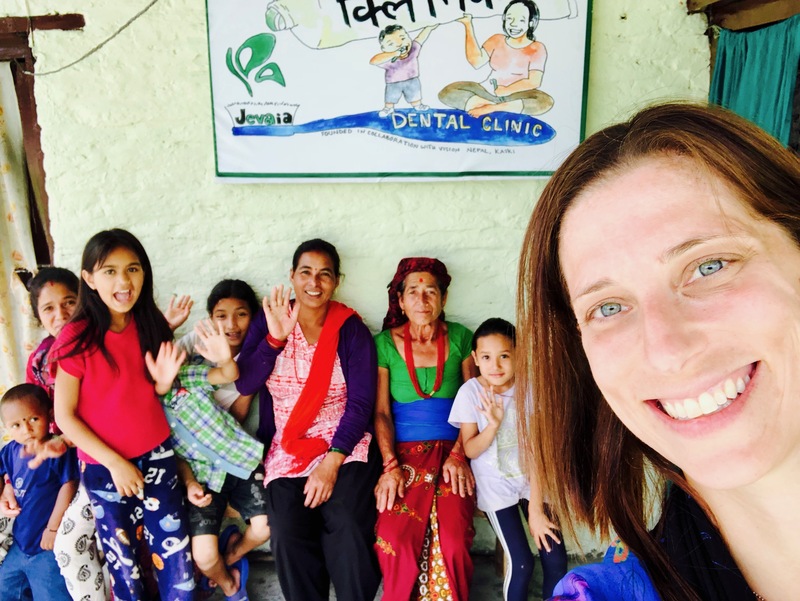 I have been working on rural dental care in Nepal since 2003. That’s thirteen years. When I began, the iPhone had not yet been invented. 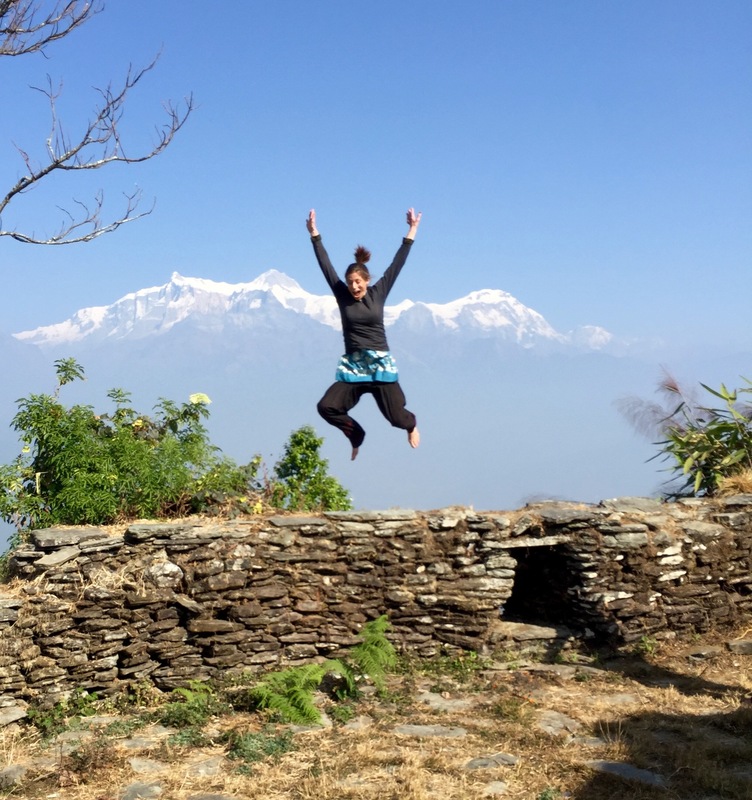 To call home from Kaskikot, my choices were to wait while Shiva’s dai’s mother rigged up the satellite phone in Deurali, or take what was then a 2.5 hour bus ride to Pokhara and call from an internet cafe. Now I can Facebook chat while taking breaks during firewood chopping outings. Now in July 2016, Kaskikot’s dingy sub-health post has been upgraded a few times and is a full-scale Health Post. Someone from almost every house has left for migrant labor in Malaysia, Dubai, Qatar, or another gulf country, leaving swaths of flush green rice paddies overgrown with grass. An insurgency overthrew Nepal’s monarchy back in 2006, and the country is still figuring out how to operate a democracy in a place where the young are mostly literate and the middle-aged mostly are not, where rains cut off whole villages from road access during the summer and snow isolates other regions in the winter. Wireless has long since outpaced plumbing. 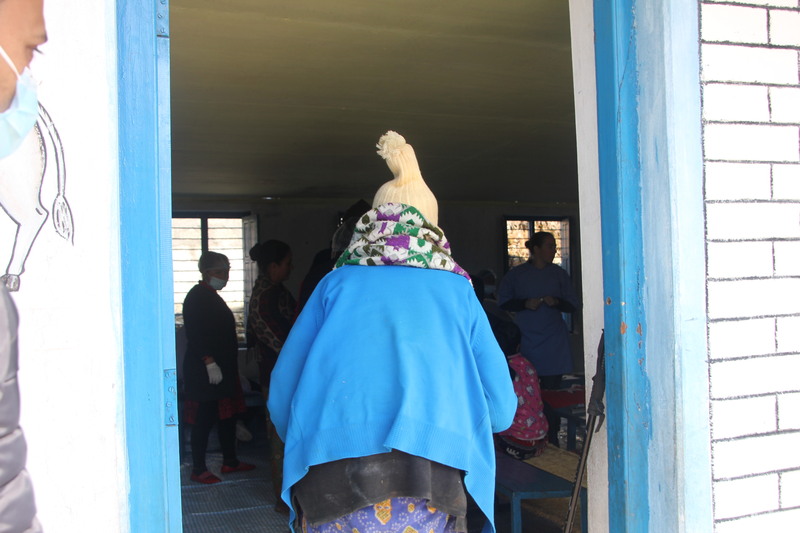 To the best of my knowledge, our nine rural dental clinics are the only ones of their kind. 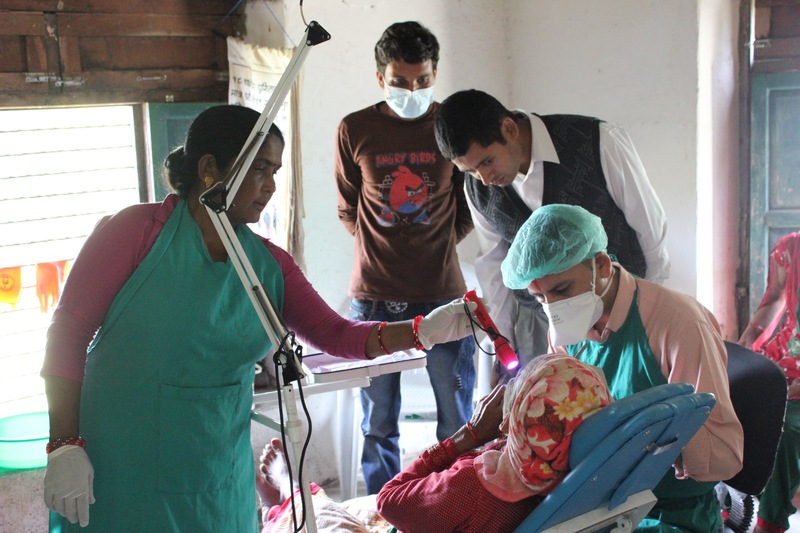 There are many aid-funded health care facilities in Nepal, but our clinics are operated by Nepali providers, local to their villages, who practice specialized rural dentistry techniques that are sustainable in limited-resource settings. We didn’t invent these techniques, but we contextualized them by adding in other pieces like school-based prevention and technician mentoring. More recently we’ve focused on asking what standard of care these dental technicians can and should be held to within the limitations of environment and training. As a result, we’ve developed considerably more rigorous protocols than are typically applied to permanent rural health services. This concept is known in international lingo as “rights-based health care.” It’s just the argument that people are entitled to the highest attainable standard of health care within the limitations of context. This isn’t a new idea, but actually manifesting it through innovation requires a level of patience and detail that could really make you wish you’d gone into a career of monastic asceticism instead. Fortunately when Roti’s mother came over writhing with a toothache in 2002, I didn’t know I was getting in to a career at all. At that time I was looking for something I could tell my neighbors in Kaskikot to do when they showed up moaning in pain, which was whenever, not when somebody happened to be rolling by in a mobile clinic. The answer had to be viable, respectable and available on any random day. As it turns out, this way of thinking is, by definition, the pursuit of human rights: it seeks a permanent and dignified answer for people, not the implementation of a prefabricated idea. That’s how we started combining localized clinics with community awareness programs. 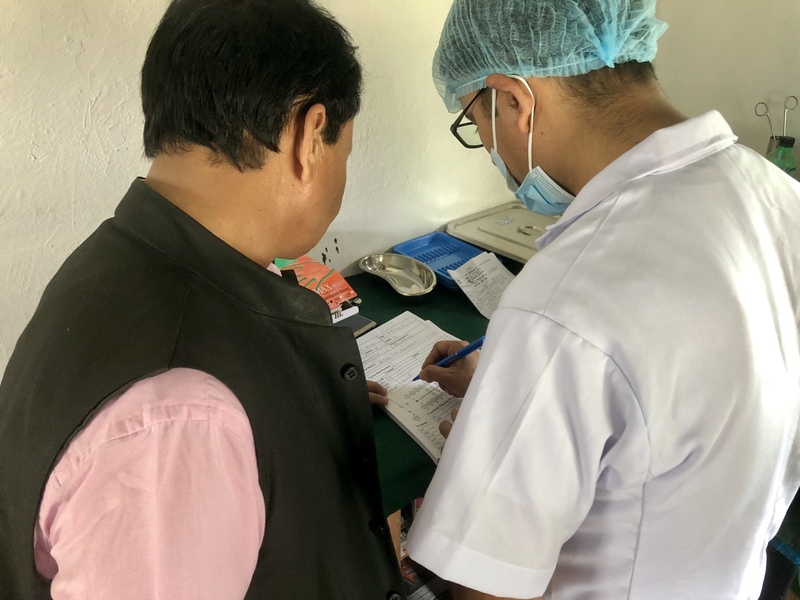 But it took years to realize that wasn’t enough…we had to bring these clinics into the existing health care system of Nepal, a centralized government system that provides a rural Health Post in each village. Basically, our clinics needed to become part of these Health Posts, without losing the benefits of specialization we’d developed. Since 2012, the biggest challenge we’ve faced in this project is handing over our clinics to local ownership after a two-year set-up and supervision period. Our first clinic in my own adopted home of Kaskikot, the very place I was motivated to have answers for people, ultimately folded after we ran it for SIX YEARS, treating hundreds of people. The local government wouldn’t run it. Honestly, our advocacy strategy was nonexistent in Kaskikot. Worse yet, I was the American neighbor-kid, and my efforts were seen as personal. 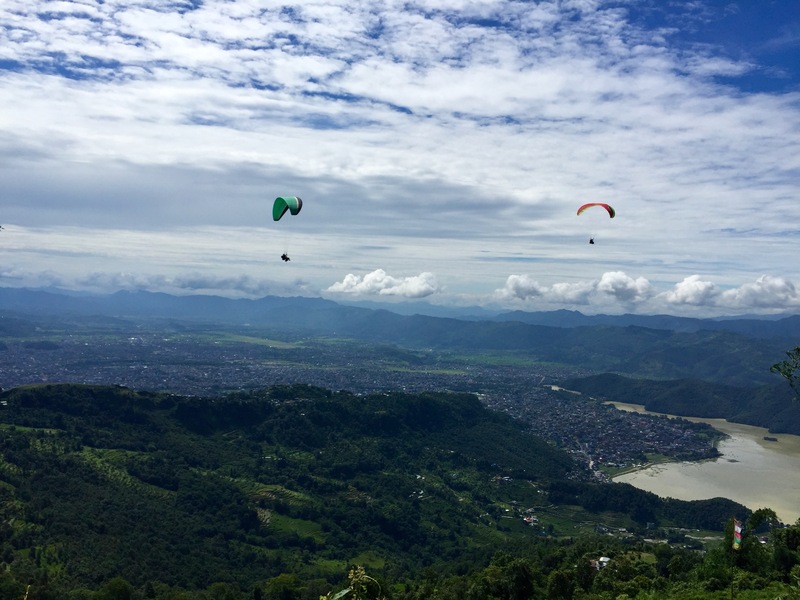 In Kaskikot, I learned the taste of letting go and swallowed a bitter but essential lesson. 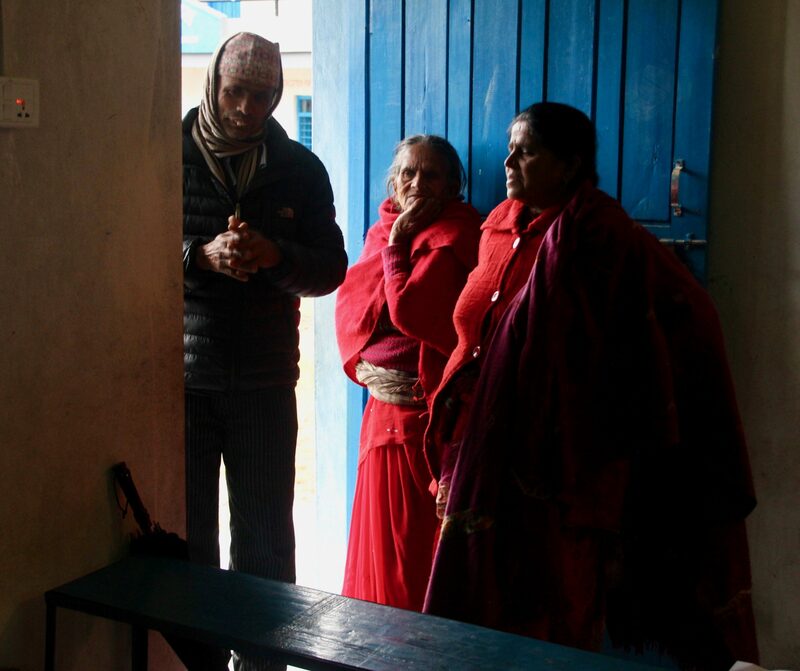 Our second clinic, in the neighboring village of Sarangkot, inched forward. 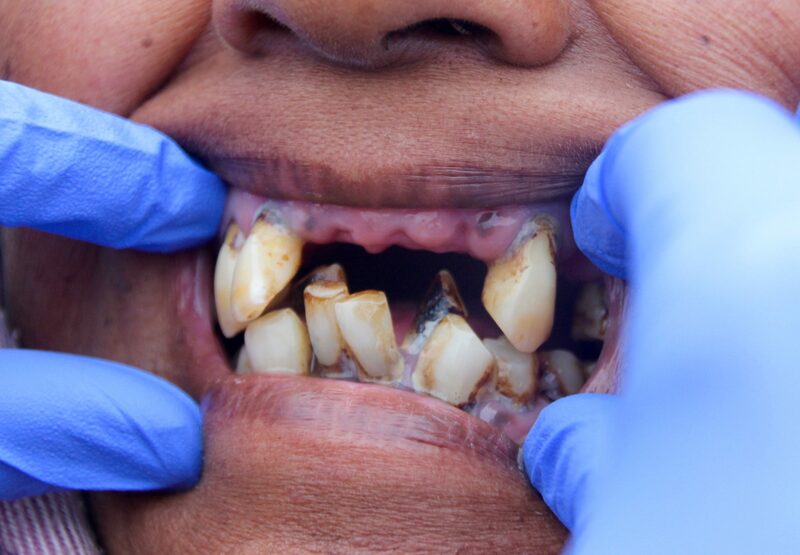 It’s been operating on its own since 2012, mostly due the persistence of the dental technician, Dipendra, and clinic assistant, Renuka. 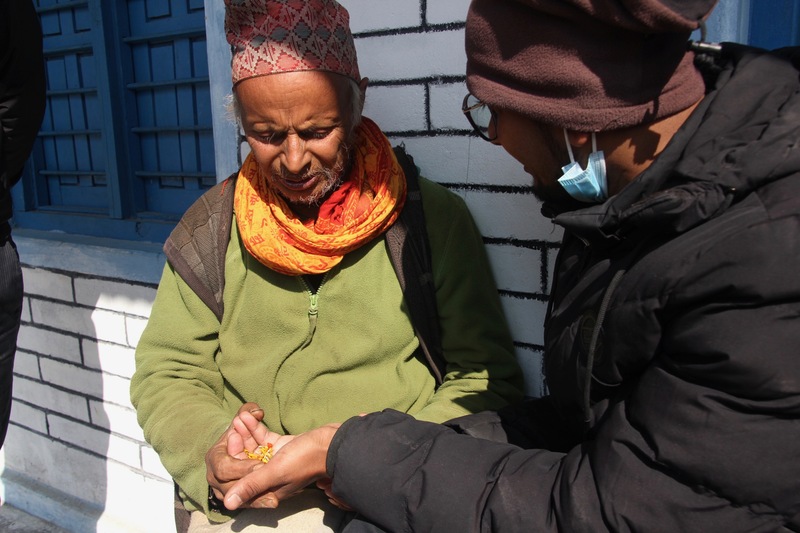 They continue to go to the Sarangkot Health Post every single week, and whenever I’ve visited, they have at least 5-10 patients in a day. 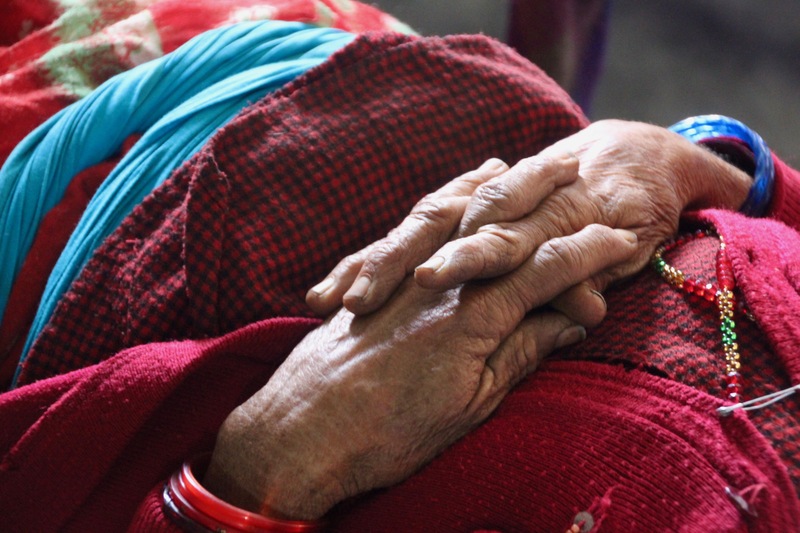 But Sarangkot’s local government only “kind of” funded their clinic. When I sat in a room full of Sarangkot politicians back in 2012, conducting a (kind-of) “handover” ceremony, there was a Washington Post reporter and photographer present while officials explained that the government just didn’t have any money for this clinic. 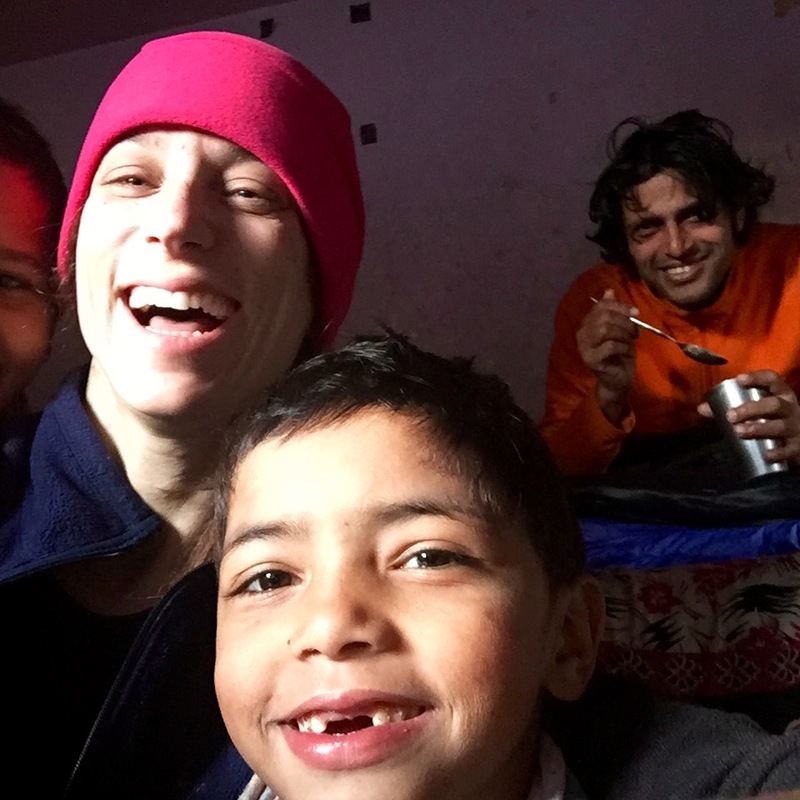 I had to say bye and hope for the best…and against the odds, another NGO stepped in and donated a moderate dental budget to the Health Post. 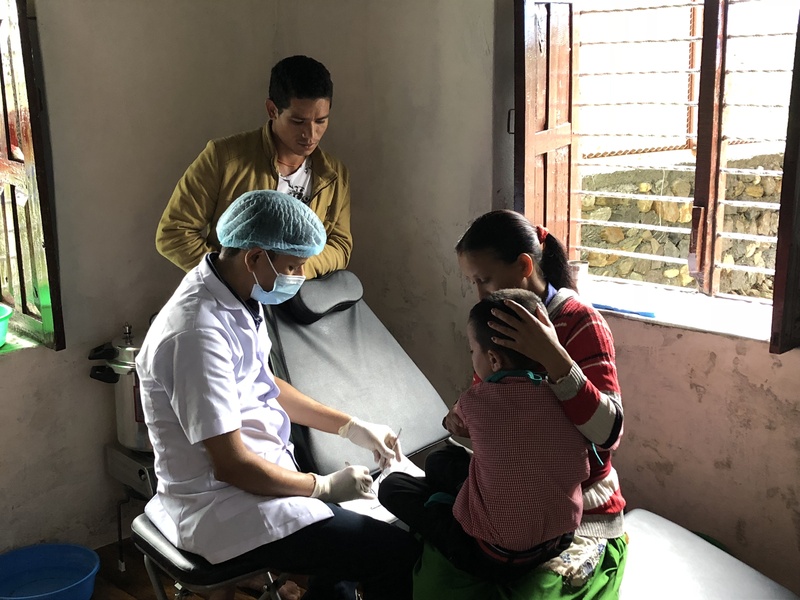 Which allowed the Sarangkot clinic to survive, but saved the health care system of the burden of evolving its priorities on a deeper level. It’s a quandary, so let’s call the problem like it is. It feels good to do something and see a result. 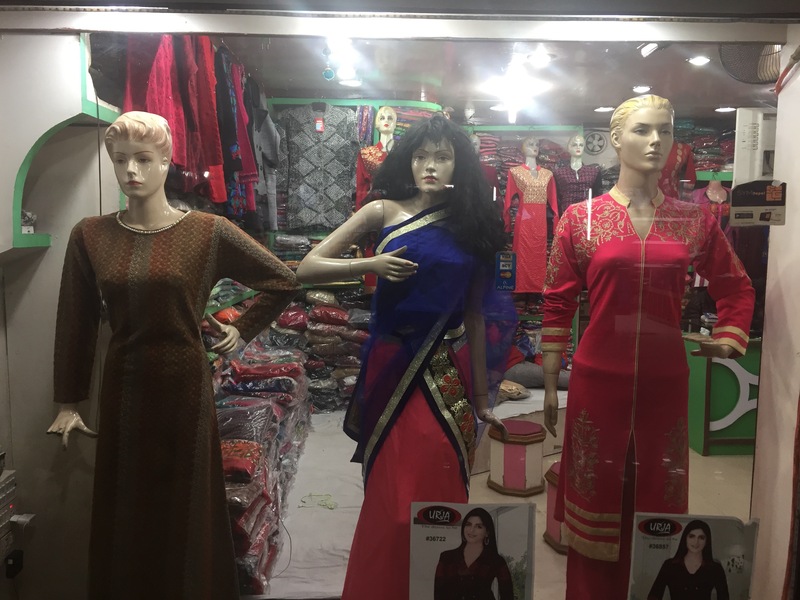 But when you have an aid state like Nepal, the do-ers are part of an entrenched structure of dependency that absolves Nepal’s public systems of responsibility. This has been extensively documented, and everyone always seems very dismayed when they’re documenting it. Okay, but, everyone knows this is the explicit Contract of Producing. Things mostly run better when the people who decided to start the things are the ones who keep doing them, which mostly is what those people want to do anyway (so that it’s done “right”), and of course the people who didn’t start these things, and probably don’t want to run them, prefer the very same. Once that’s the way it works, that’s basically what everyone expects and signs up for. As far as exposés go, it’s not super material. I am acutely aware of my reluctant participation in this arrangement. 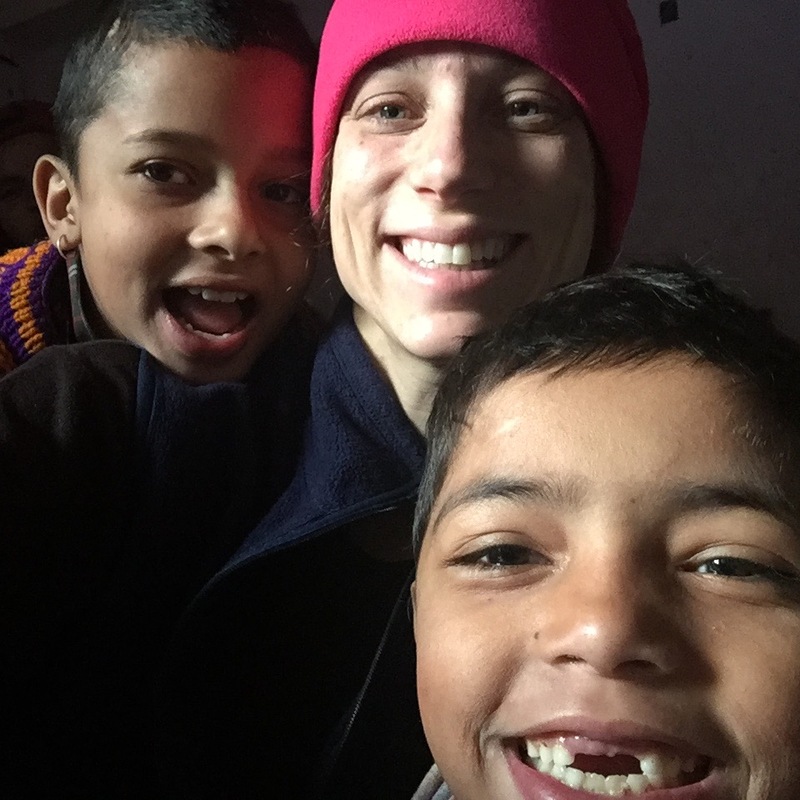 And I too could raise money forever, operate dental clinics one by one in Nepal, and help us all feel like heroes. But what about the right to the highest attainable care everywhere else? And besides, what’s “attainable?” Nepal has a national public health care system that has two key qualities: stability and scale. It’s not famous for quality or agility, but is it capable of incorporating the creations of social innovators and risk-takers to improve its performance one round at a time? Yes, it has to be. But only once you break the explicit Contract of Producing. Instead, there has a be a Contract of Attaining, and then making better things more attainable, and then attaining those. I think. I’m still working on this theory before I publish. But actually, I’m pretty sure about it. In any case, here we are in 2016, billions of dollars of foreign investment later. In our corner, we’ve decided to revisit all nine of our dental clinics and focus on their permanent integration in to the government health system. They’re are all at different stages, from nebulous commitments of local funding to full halts to pre-handover. We’ve begun by brainstorming with the technicians, and then meeting for coffee with individual village leaders. 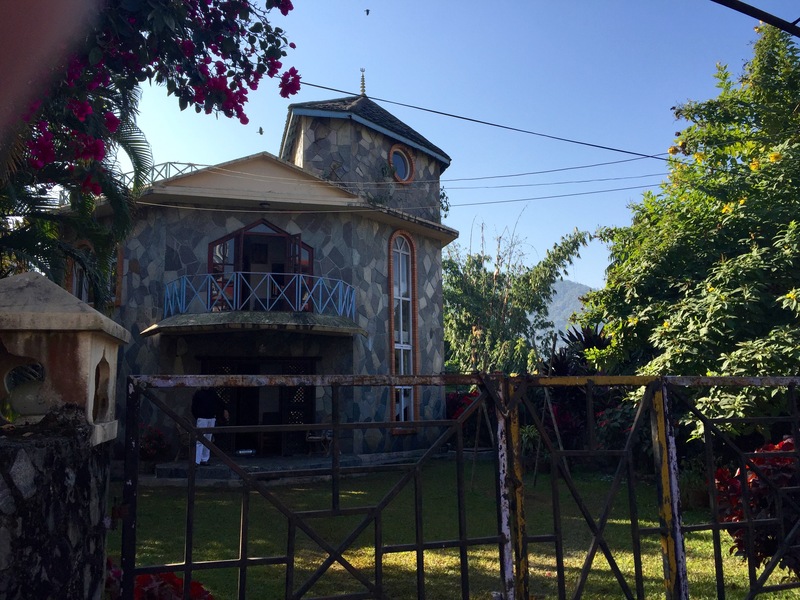 Our first stop: Sarangkot…scene of the 2012 Kind-of-Handover. But here’s our idea. 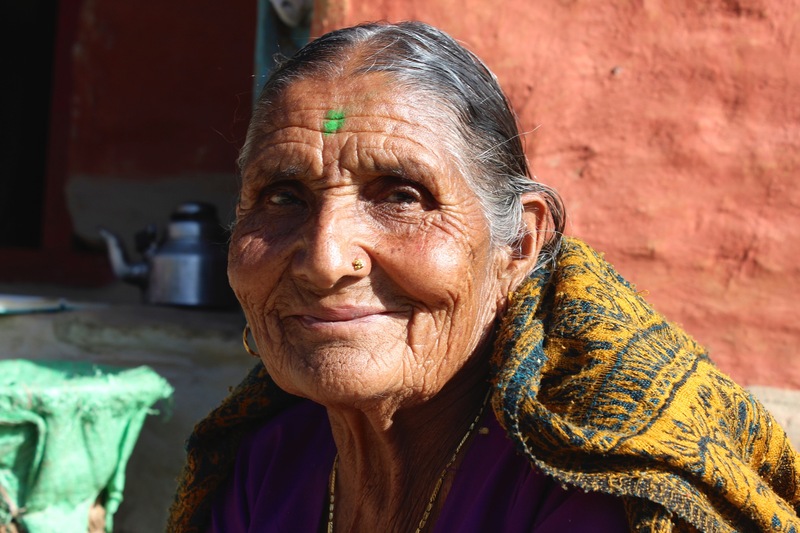 Let’s imagine Sarankgot’s local government was to allocate funding for Dipendra and Renuka, and in exchange, we put about $1000 in to refurbishing the clinic and providing further mentoring. 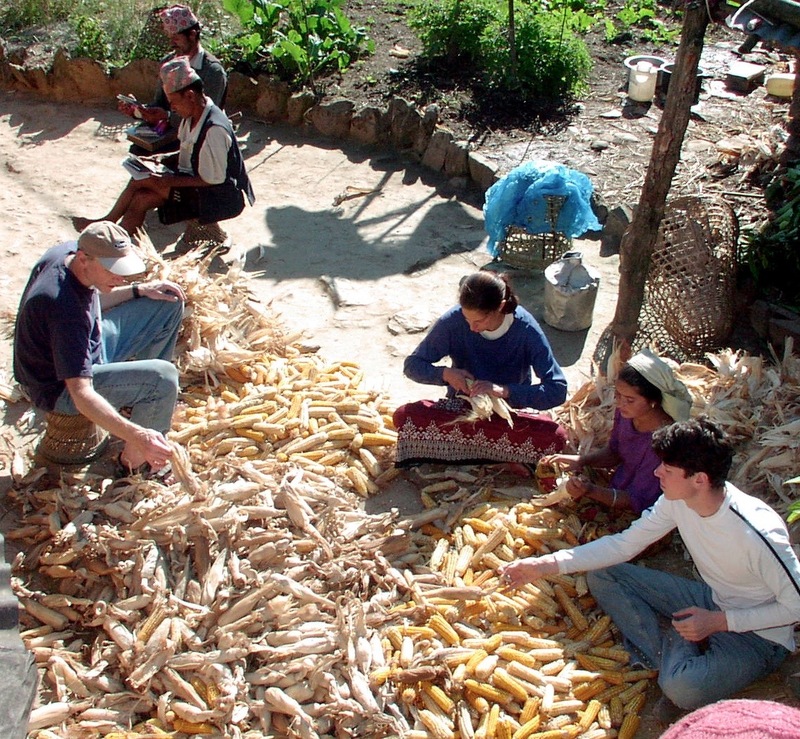 Sarangkot becomes one of nine places we can invite policy makers in and say: look, this works. This is awesome and critical. 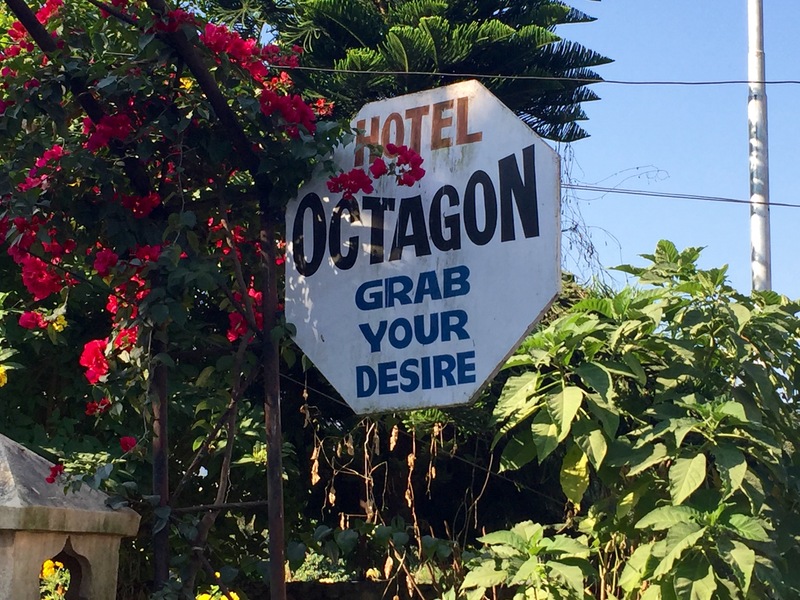 Here’s another one in Bharat Pokhari, and one in Lwang Ghalel, and…see? 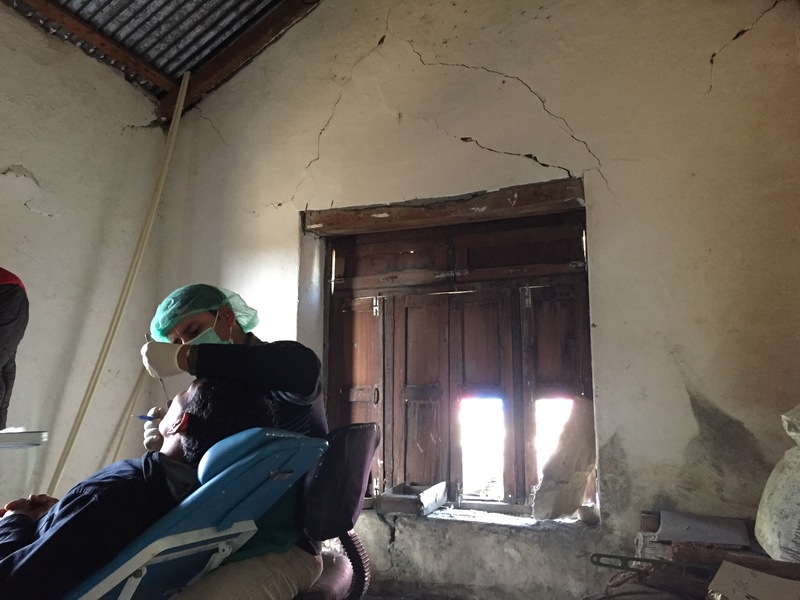 The central health ministry should allocate funding for a rural dentistry specialist in all of its Health Posts. 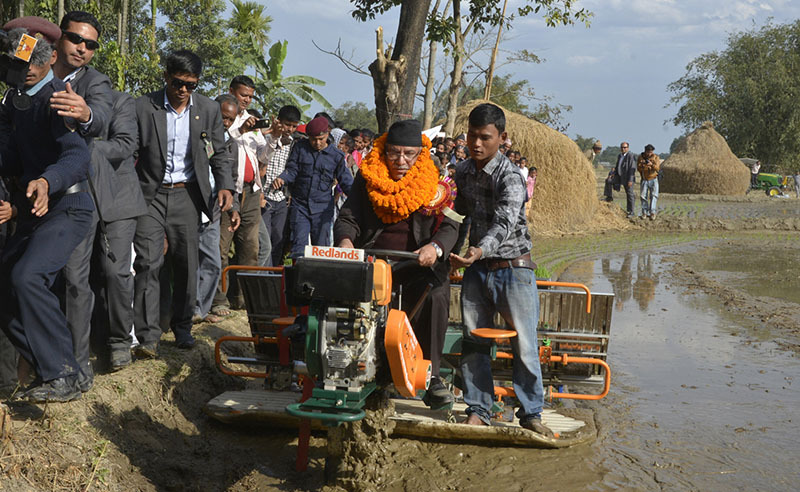 These progressive village governments are doing it already on their own. 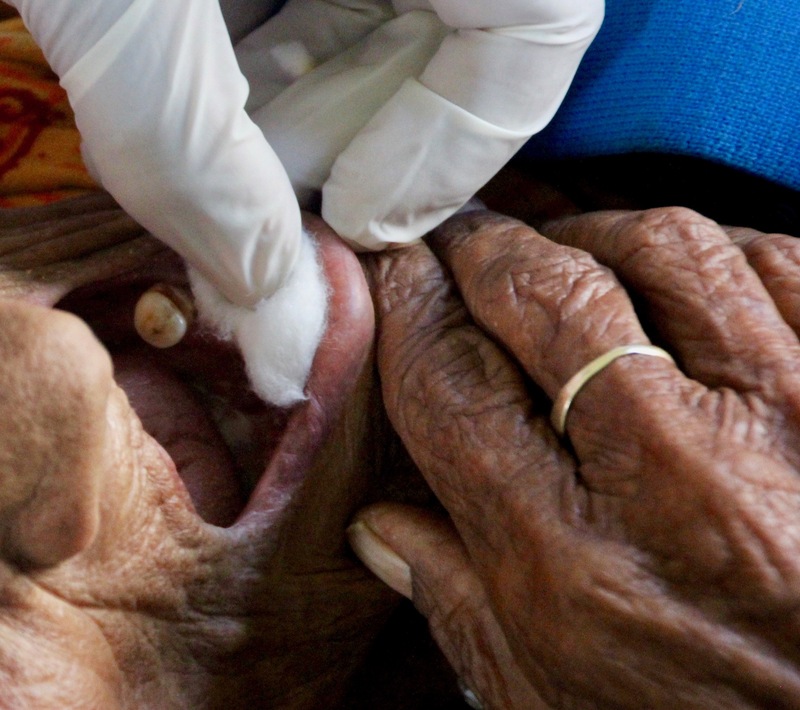 But it’s important, not just for our issue, primary oral health care, but in principle. The Contract of Attainment is fairly unpopular, because it’s unmarketable, and we’d all rather feel like heroes. Somebody has to champion it for its own sake. 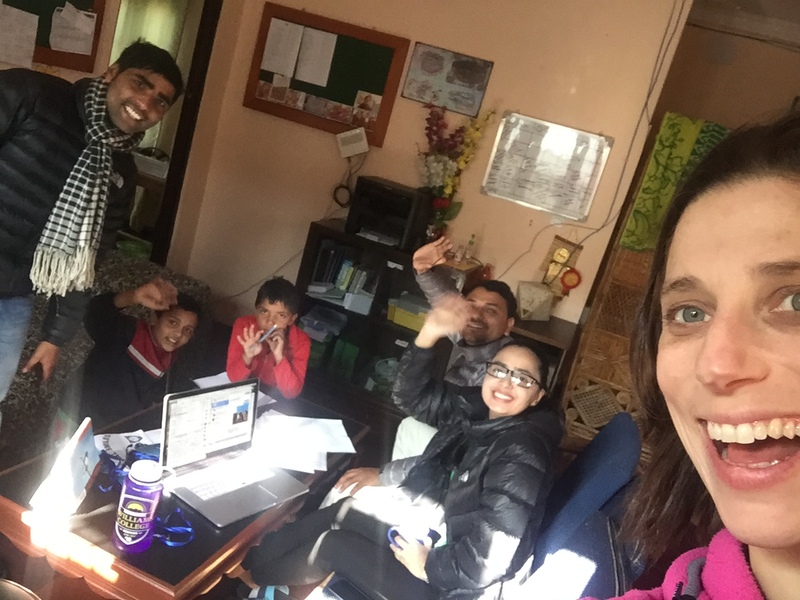 Therefore, we’ve spent two long afternoons in the office strategizing, and tomorrow, we’re off to a meeting with local politicians in Sarangkot. 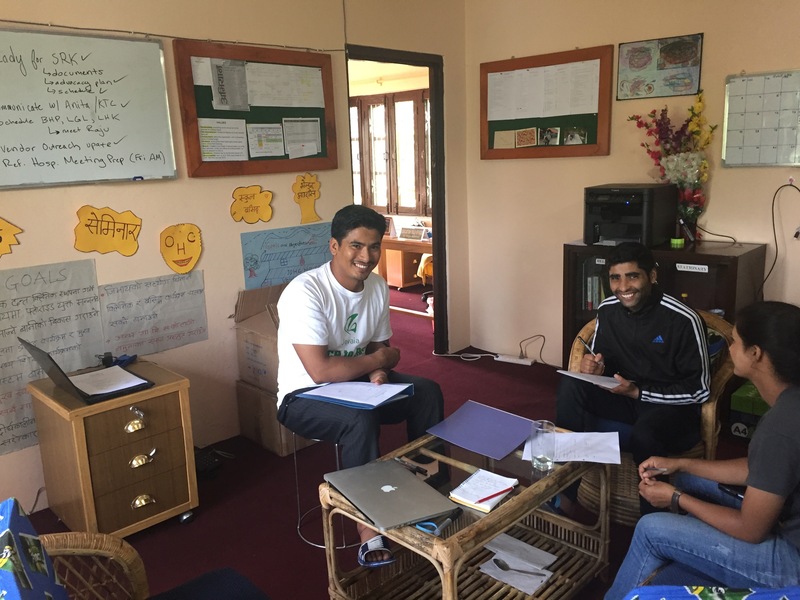 All four of us – me, our Program Director Aamod, and our field officers Dilmaya and Gaurab – are going. 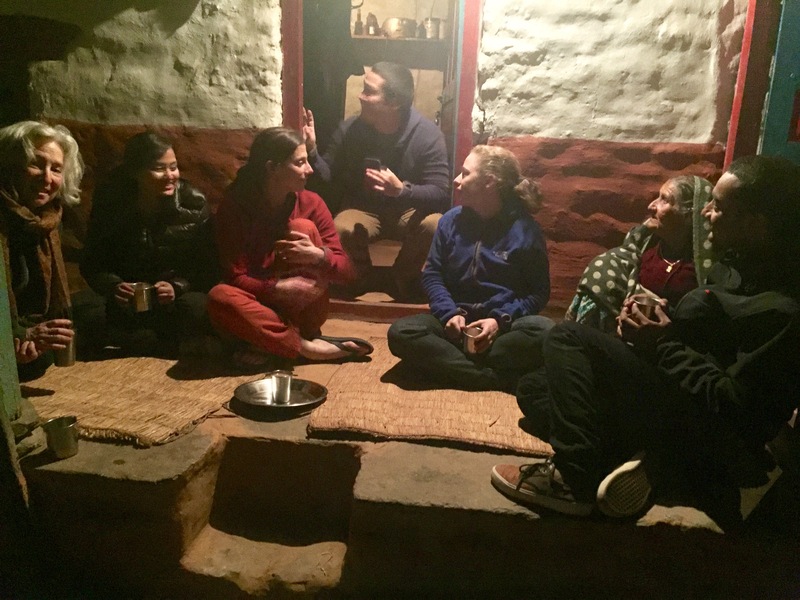 None of us are particularly schooled in political lobbying, but hey, as far as advocating for dental clinic funding in villages in Nepal, I think we’re as good as it gets. When we met with the Health Post chairman yesterday, he was much more positive than I expected. But things can sound different in a room of people with competing agendas. So this is where we are in 2016. We’ve all been thoroughly self-schooled in Virex disinfecting procedures and gloving-regloving infection control, as well as of course the difference between upper molar forceps and an enamel spoon, and we are now embarking on an in-depth immersion experience in citizen advocacy in emerging democracies. Wish us luck! Time to jump in.